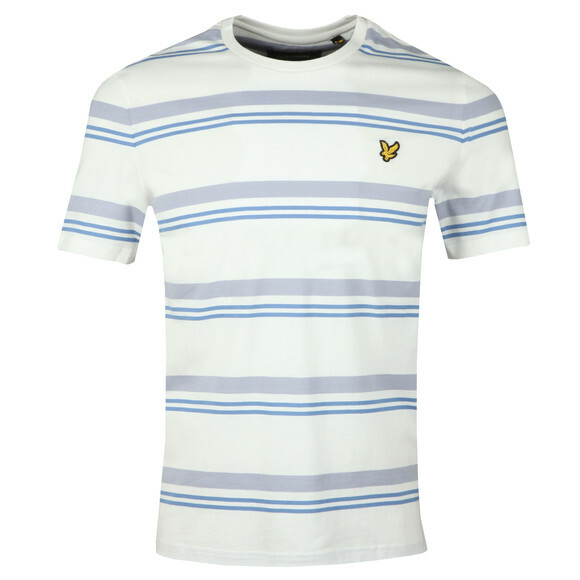 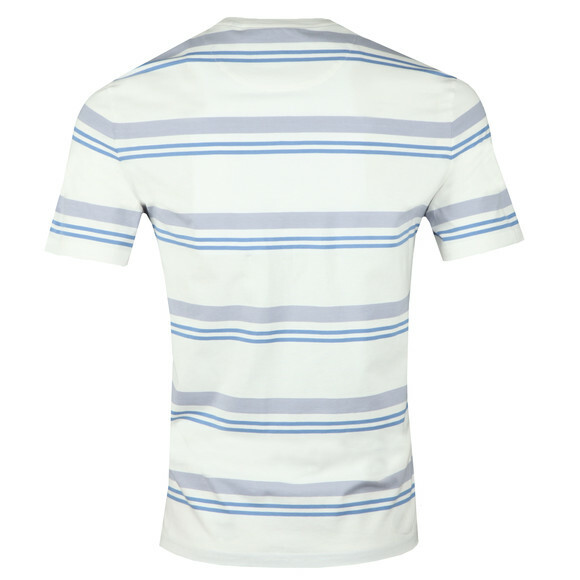 Lyle & Scott Stripe Tee in White. 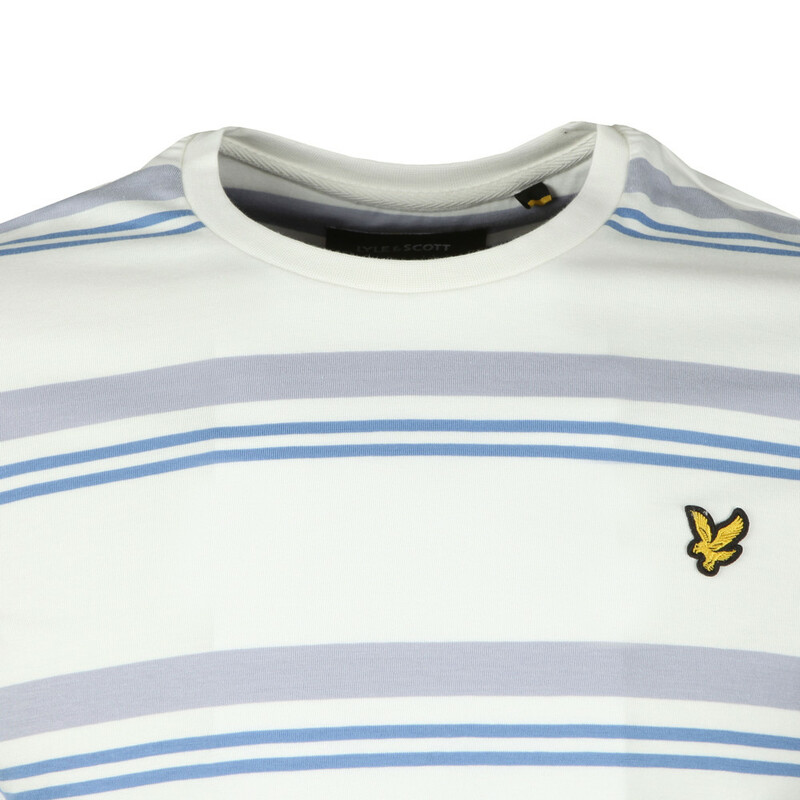 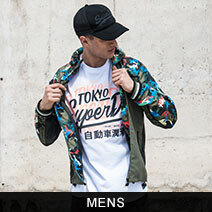 Designed with a multi-stripe pattern in different colours and given a crew neck. Lyle & Scott add a classic, embroidered eagle logo in a golden colour.